…or you simply feel there is MORE inside of you wanting expression. Nature gave you a specific design/blueprint/pattern that lives in the palms of your hands and in your DNA. Understanding this “design” is one of the most important things you’ll ever do as it is the foundation for your mission in life as well as how you carry out that mission. As a pattern recognition specialist, I will help you see the work you are designed to do and the life your soul craves to experience. This discovery of your design is the FIRST STEP… a step that many people miss. What will be revealed for you is the foundation for everything you are and everything you do. Once you have this information available to you, it takes the guesswork out of making every business and personal decision you will have to make for the rest of your life. Yes, the rest of your life. We will identify the pattern in the current situation bugging the hell out of you and the patterns affecting you over the course of your life – the good, the bad and the ugly. When we work together, we will embrace it ALL… no point in creating more shadows for you to deal with later. Who you THINK you are and who you actually are – these are not the same experiences. Your thinking mind is designed to make sense of things and to communicate but it is NOT designed to make decisions. Your BODY, your SENSES – this is where you make decisions from. And as you’ve probably noticed, decisions can make or break you. The biggest decisions we make – work, love, friendship – can become rife with conflict and pain if we enter into them from the mind. Imagine making decisions that reduce your anxiety, increase your inner peace and bring you soul satisfaction. As the conditioning begins to fall away, you start seeing yourself clearly. You see that YOU have a calling to fulfill that ONLY YOU can fulfill. It’s not about anyone else. ONLY YOU. And when you are fully YOU, that is when your creativity, inspiration, and gifts come alive. Ironically, it’s in our deep devotion to our own inner guidance that our capacity to give to others expands! It would be my honor to mentor with you. Do You Feel Called to Mentor With Baeth? If ‘yes’, are you deeply committed to your spiritual evolution and willing to do whatever it take to expand your Life Purpose? If you are still a ‘yes’, please answer this questionnaire and we will schedule a getting-to-know-you call with Baeth. “Baeth, where to begin with my gratitude for all that you have given me?I had no idea at the beginning of this year how much clarity I would soon have, and how incredible it would feel to have it. The workshop, my sessions with you, and having you be a mentor is truly incredible – I have only just begun to integrate all that I have learned and already it has altered the path of my life. Hands down one of the best investments I have ever made. I have shaved YEARS off of the searching (and pounds of muddled questioning off of my shoulders). I look forward to continuing my work with you in whatever capacity makes sense at the right time. You are such a gift to my life. 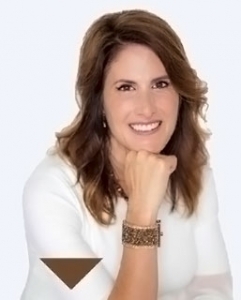 “What drew me to mentor with Baeth originally was to create a seven-figure business. I had achieved mid- to high six-figures and wanted to get to the next level. I knew Baeth had created this for herself. I wanted to be mentored by someone who was ‘doing’ it. The biggest thing for me was knowing there was a place I go could “go through” any of the emotions I had to go through in desiring/seeking life-changing transformation. I had a safe place to land and learned this was absolutely necessary. It has been incredibly empowering going through this process, not always knowing or understanding why and what we are doing next and just “trusting the process.” I go about things both personally and professionally completely differently than before – and I am effective, positive and empowering. They say there is no such thing as an overnight success. By the time you see an ‘overnight success’ – it’s someone that’s actually been in the works, grinding it out, for years and years and what you finally see is them coming to life. That’s my experience of working with Baeth. By the time that I had come to her for mentoring, I was broken and I was just broke. I was a mess that needed to be turned into a messenger. She did a hand analysis session for me. During that session, it became abundantly clear to me that Baeth saw me in a way that no other coach and no other intuitive or gifted healer had ever been able to see me and I knew that I needed to work with her. I also knew that she knew how to help me make money. And the one thing that had really been missing in my life was abundance. Sure enough, within two months of working with Baeth, she put me on her stage at one of her live events. of who I really was and my gifts with the world. By offering my special package, I increased my income by nearly 1100%. I then generated $16,000 over the next six weeks and am maintaining my revenue flow. It wasn’t just about the abundance of income. The most important piece was the self-esteem that came as a result of really breaking free from my old mindset, from my old way of being, and truly stepping into my gift and offering it to the world. For this, I will forever be indebted to Baeth – in the best way possible. It was her vision and her fierce love that brought me to the place of skillfulness, a place that I had never been before in my life. a level of greatness I couldn’t have even imagined two months ago before Baeth walked into my life. I’m so grateful for this opportunity to serve – because, of course, I’m School of Service! So If you are out there wondering if this is right for you, all I can say is: If you are struggling and you don’t know what to do next and you’ve tried everything else, this is the thing that will turn it around. All my love. Baeth Davis you’re MAGIC! My time working with you to grow and expand my business set me up for total success! I now have a successful online business that I can do from anywhere in the world. It’s profitable, ever expanding and I’m doing what I love to do! The other day, I was going over notes from our sessions and I was amazed that everything I learned, all of the ideas you suggested, all the tips and tools you gave me…I have implemented them all! I am so grateful for the kindness, patience and knowledge you shared with me during our time working together. I wonder what else I’ll create now? I have learned that the “thing” you think is holding you back in your business (or life), is not what is really holding you back in your business! And, until you discover and deal with it, you will continue to hold back no matter how many coaching programs you participate in, trainings you take or books you read. I experienced this personally and observed it with others. In working with Baeth, I have become very conscious of being more self-loving. I am actively kinder and more compassionate with myself. I have become even more grateful for the beautiful people in my life who celebrate and support me every day. And I have become more vocal, confident, inspired and passionate about my life purpose.